With June comes Father's Day Celebrations, Schools ends, and busy Summer beginnings. With the transition to summer comes a tranition in our cooking style too I think. Easy, quick meals are the usual name of the game, but with the need to feed crowds once in a while, or pull out a special meal for those celebrations. Today's monthly meal planner has a slowcooked rib recipe that doesn't require a grill, but will promise to deliver a finger licking, tender to the bone recipe for that special "father" in your life, along with a feed a crowd ziti recipe that is one of my most popular posts!, round this out with a few quick meals, side and a pie recipe that makes 3 varations to choose from and we are set for June to begin! Let me teach you the trick to baking a rack of ribs to be fall off the bone tender, but still taste like you grilled them also. This "how to" is worth keeping year round, long after grilling season is over! This quick, yet flavorful dinner is perfect to put on your planner for a busy night. 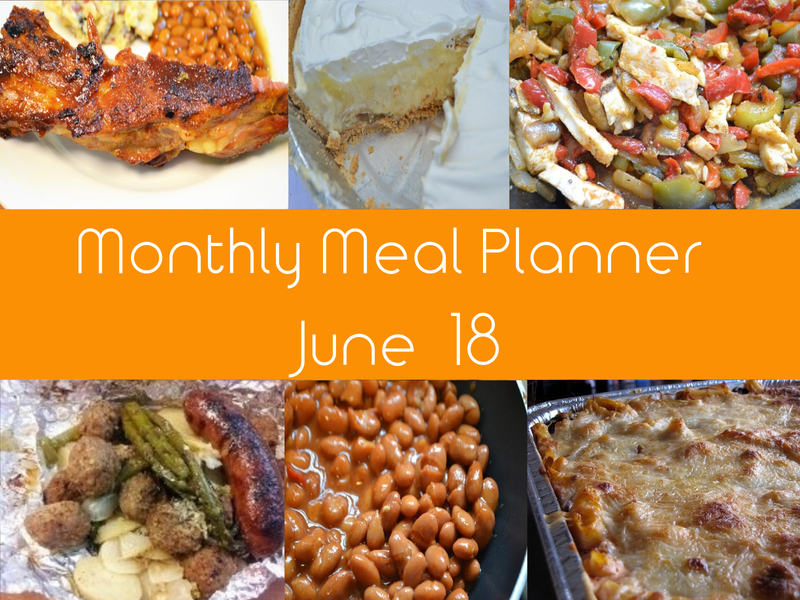 You can pull this one off in mere minutes with the side of mexican beans in this planner too, and your family will be wowed! Reunions, Wedding Rehersal dinners, Church Suppers.. Whatever your summer plans are. 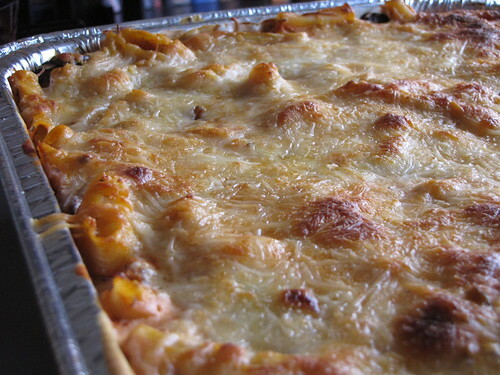 This Baked Ziti is sure to please and feed the masses! It is tried and true and can be made ahead, and then baked the day to warm up to serving temperature! 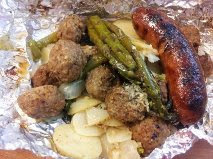 Making easy no mess foil packet dinners while grilling is a fun camping tradition, but you can make them regularly at home too, and the clean up is easy! kids will have fun building their own too! But there are a few tricks to making sure they cook evenly and thoroughly. Let me help you build some great foil packet dinners your family will have fun memories of! this easy side dish is perfect along our 15 minute Chicken Fajitas, but would also be great along side enchiladas, tacos, or to toss into a taco salad! Perfect for anyone who does not love refried beans. This Banana Cream Pie recipe is a keeper! The taste is amazing, plus it makes 2 pies! It is a base recipe that comes with 2 extra flavor variations you can make: Chunky Monkey and Peanut Butter-Snickers Pie! So take 2 pies to that reunion or church picnic: Banana Cream and ....??? ooh.. which one will be the other???? Yummy! I love foil packet meals in the summer and now I'm thinking I need to add fajitas to my menu soon!